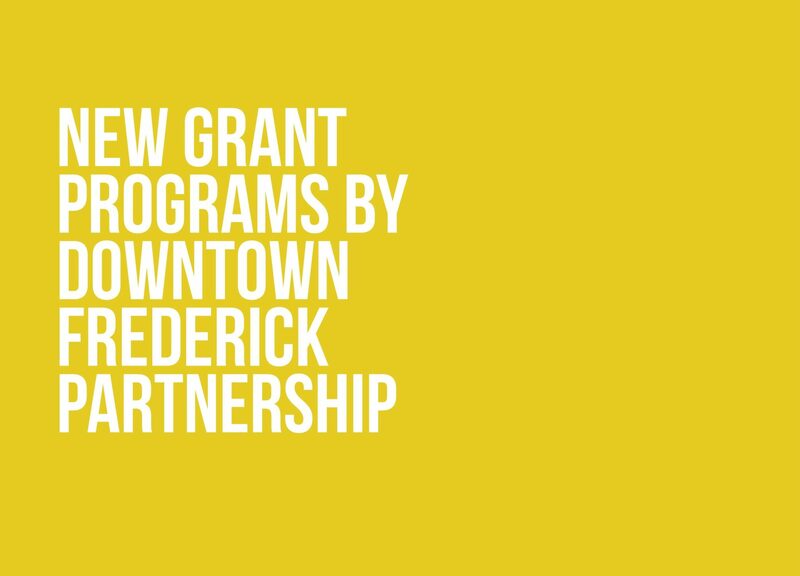 In January 2019, Downtown Frederick Partnership announced two new grant programs to address the risk of fire in historic buildings – the Downtown Frederick Fire Suppression Incentive Program and the Attic Fire Separation Program. As an outgrowth of the Partnership’s 2020 Strategic Plan and the Live Downtown Frederick goal of welcoming 335 new residents to Downtown Frederick by 2020, these programs are some of the first of their kind to address the known risk of fire damage in historic downtown environments. The Downtown Frederick Fire Suppression Incentive Program addresses the high costs of installing sprinklers in smaller commercial/multi-family/mixed use buildings. These smaller buildings are disproportionately impacted by the cost of sprinkler installation, which may make it financially infeasible. Since properly sprinklered buildings increase personal safety and protect our historic and cultural heritage, the Partnership seeks to lessen this financial burden and increase the number of fire-protected buildings in Downtown Frederick. 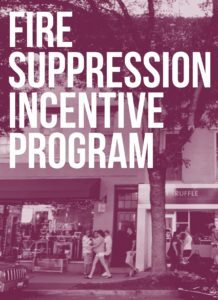 Find the grant application, program eligibility, incentive details and more information about the Fire Suppression Incentive Program at downtownfrederick.org/incentives. 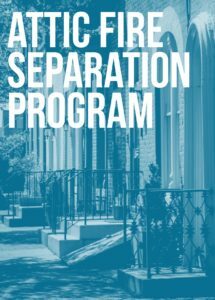 The Attic Fire Separation Program addresses a safety issue caused by gaps in the attic spaces between adjoining rowhomes. Any openings between connected attic spaces create an opportunity for fire to spread, seriously endangering personal safety as well as threatening the historic fabric of our downtown neighborhoods. Find the grant application, program eligibility, incentive details and more information about the Attic Fire Separation Program at downtownfrederick.org/community-resources.